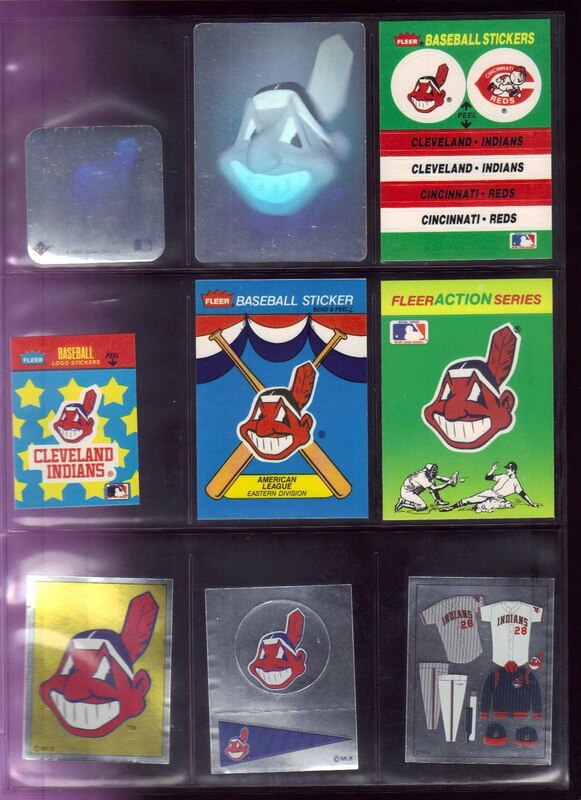 Indians Baseball Cards: Indians Stickers - various makes, models and years! 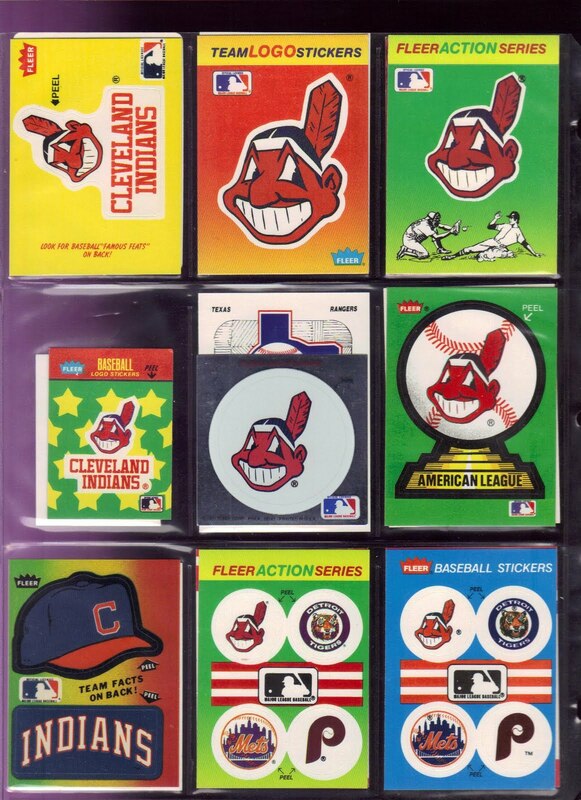 Indians Stickers - various makes, models and years! Okay, I know the first two items on these pages are *not* stickers. They are team logo cards (first from Fleer '96 and the other from Pacific). But, the rest are of the peel-and-stick variety. My biggest issue with stickers comes from the fact that in far too many cases, the manufacturer nevr bothers to put the DATE on the thing anywhere - not even by their own copyright info! So, I do not have these logged into my database if they do not have a date. 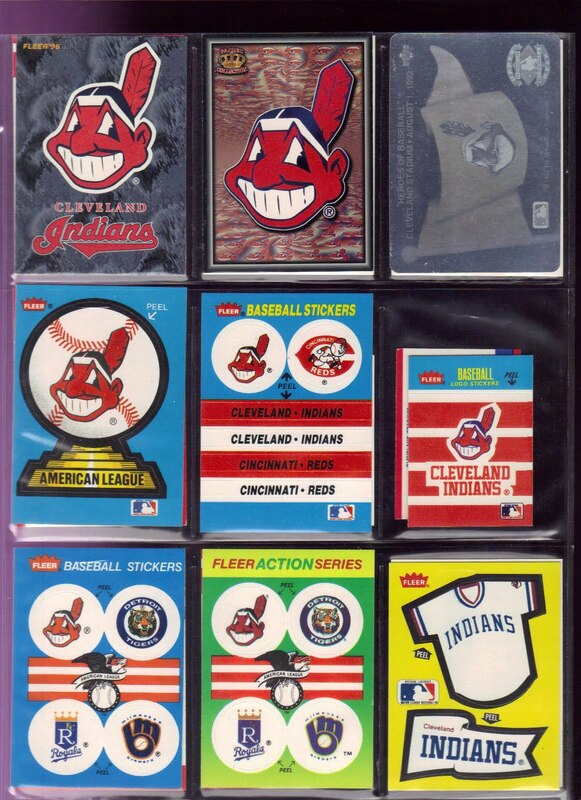 I will have to spend some time on the FleerStickerProject researching these. Given the great writing and fun to had over there, I don't think the research will be a bad thing at all. 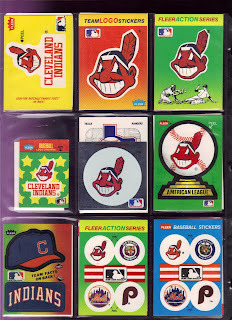 I like the stickers with various "parallels" associated, such as the multi-team green and blue ones above. Even though they have the same teams on them, the fact that they have different "backgrounds" makes each one unique in my eyes. Of course, you may notice the difference in headings as well. Nothing like being able to reuse the same sticker layout year-to-year to save production costs. 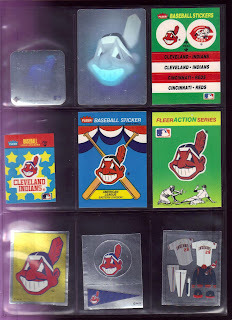 Quite a nice collection of Indians logo stickers/cards/holograms! 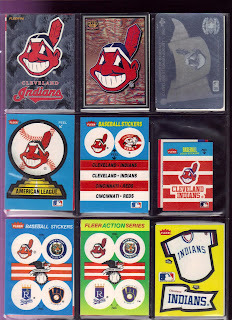 Thanks for the very kind words about the blog - I hope you'll find it useful in dating the Fleer and Panini items. It looks like you've got a few items I haven't covered yet, so it looks like I've still got some work to do!